The two 1/2″ (inch color and black/white CCD video cameras and the anti flicker module AFP-2 provide an especially bright and high quality video assist. The video-optic-transmission is adjustable from normal 16 to super 16, and reproduces the full image of either format on the monitor. To achieve a wide field of production possibilities, it is possible to mechanically ad just the opening sector of the mirror shutter when camera is switched off. The most important opening sectors of 90°,135°, 144°,172.8° and 180° are locked and also indicated on the camera’s display. An automatic mirror shutter stop provides undisturbed viewing through the finder and a precise mirror position. A large LCD-display on the left camera side clearly shows information of all adjusted settings. Below the display, a control panel has been integrated offering simple and precise access to the most essential camera functions. The ARRIFLEX 16 SR3′s interface provides full system compatibility with a wide range of accessory. The ARRIFLEX 535′s proven accessory range can be connected, i. e. ESU-1 (external synchronizing unit), MCL (master clock), RU-1 (remote unit), RS-3 (4) (remote switch), HE-3 (heatable eyecup), camera handgrip, CCU-1 (camera control unit), AFP-2 (anti-flicker processor). The ARRIFLEX 16 SR3 is designed to meet all modern production requirements. With its off-set pl-mount it is easy to change the format from normal 16 to super 16. 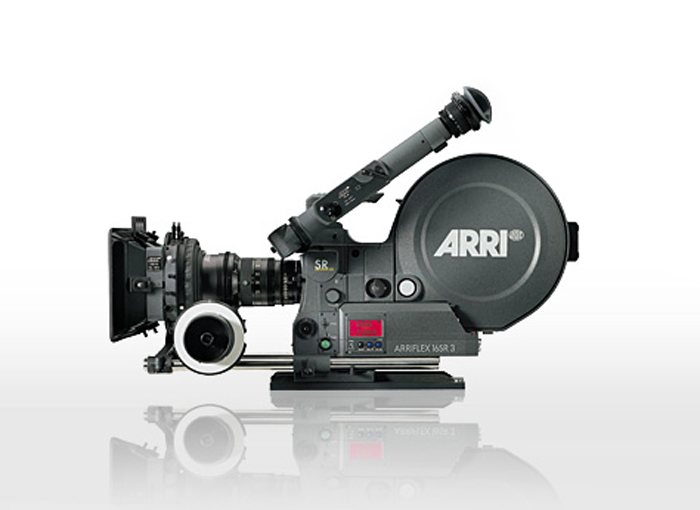 Equipped with time code, the ARRIFLEX 16 SR3 offers direct access to electronic post production. The bright, high quality video assist gives the possibility of rough OFF-line editing. 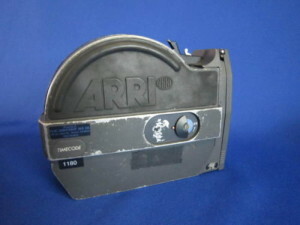 A manually adjustable mirror shutter and the smooth operation level of 20 dB(A) (+2 dB(A)) expand the working possibilities of this universal production camera. A high speed version is also available.